If your goal is to graduate from university, then one very successful route of study is to complete an SQA Advanced Diploma and progress onto a related degree. The SQA Advanced Diploma is a short cycle Higher Education qualification which enables advanced entry into many undergraduate degree programmes in universities and higher education institutions across the world. SQA Advanced Diploma are widely recognised around the world as being the equivalent to the first two years of undergraduate study. Diploma to Degree is a well-established and proven route to progressing directly onto the second or third year of a flexible degree. Many students have studied in their own country before moving abroad to complete a degree, entering directly into second or third year. This option can be a cost effective route to studying abroad and achieving a degree at an international Higher Education Institution. We make this journey as smooth as possible. SQA partners with highly regarded international institutions. These Institutions recognise the SQA Advanced Diploma for advanced entry and provide students with a quality learning experience. Please note: Many more institutions accept the SQA Advanced Diploma for advanced entry to their degree programmes. Entry is always at the discretion of the receiving institution. *Agreement negotiated by our Chinese partner, CSCSE. Business, Business with Accounting, Business with HR, Business with IT, Business with Marketing, Global Trade and Business, Marketing, Hospitality Management and Travel & Tourism. Applicable HND/SQA Advanced Diploma subject areas: Business, Hospitality, Logistics and Tourism. Advanced entry to Bachelor of Computing Science. Applicable HND subject areas: HND Computing: Software Development. Advanced entry to Bachelor of Business Studies, Bachelor of Business Administration, Bachelor of Business in Tourism and Hospitality, BSC in Computer Science. Applicable HND subject areas: Accounting, Business and Marketing, Finance, Hospitality Management, Travel and Tourism, Computer Science and Networking. Students who have completed the HND/SQA Advanced Diploma Hospitality Management can transfer into the 3rd year of the VIU Bachelor of Hospitality Management and will be awarded a block transfer of 60 credits towards the 120 credit requirement. 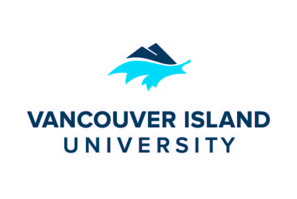 Students who have completed the HND/SQA Advanced Diploma Professional Cookery can transfer into the 3rd year of the VIU Bachelor of Hospitality Management and will be awarded a block transfer of 60 credits towards the 120 credit requirement + 15 credits of the Culinary Arts bridging courses. Senior year entry will be considered at the discretion of the university. Applicable HND/SQA Advanced Diploma Subject areas: : Business, Computing, Hospitality and Tourism. Applicable HND subject areas: Accounting, Business, Construction, Hospitality, Logistics and Retail. The final year of the Bachelor of Applied Management degree can be completed via distance learning in your own country. Contact the University for further information. 2nd year entry may be offered for other appropriate HND/SQA Advanced Diploma. 3rd year entry to applicable degree disciplines. Applicable HND/SQA Advanced Diploma subject areas: Accounting, Administration, Business, Civil Engineering, Computing, Construction and Marketing. Entry to year 3 - HND Business, Business with Accounting, Business with HRM, Business with Marketing, Financial Services, Global Trade and Business, Supply Chain Management, Computing: Software Development, Computing: Technical Support. Applicable HND Subject areas: Accounting, Administration & Information Technology, Business, Business with Accounting, Business with HRM, Business with IT, Business with Marketing, Business Management, Financial and Business Management, Global Trade and Business, Computing: Networking, Computing: Software Development, Construction Management, Quantity Surveying, Civil Engineering, Electronic Engineering, Electronics, Hospitality Management, Travel and Tourism, Architectural Technology, Engineering Systems, Computer Aided Architectural Design and Technology. 3D Design, Accounting, Administration, Architecture and Surveying, Business, Civil Engineering, Computing, Construction, Creative Industries, Engineering, Fashion, Hospitality, Marketing, Media, Retail, Sports Sciences and Health Sciences and Tourism. Applicable HND/SQA Advanced Diploma Subject areas: Accounting, Business, Business with Human Resource Management, Business with Marketing, Construction Management and Quantity Surveying. 3rd Year entry for HNDs in: Business, Business with Accounting, Business with HR, Business with IT, Business with Marketing, Computer Networking, Computing Software Development, Computing Technical Support, Electronic Engineering, Global Trade and Business, Hospitality Management, Travel and Tourism. Applicable HND subject areas: Wide range of Computing subjects. Administration with IT, Business, Business with Accounting, Business with IT, Business with HR, Business with Marketing, Financial Services, Global Trade and Business, Mechanical Engineering, Travel and Tourism and Supply Chain Management. Computing, Electronics and Electronic Engineering. Accounting, Business, Business with Accounting, Business with IT, Business with HR, Business Management, Finance and Business Management, Electronic Engineering, Electronics and Quantity Surveying. 3rd year entry to relevant degree programmes. Applicable HND/SQA Advanced Diploma Subjects: Business, Business with Accounting and Business with Marketing. Applicable HND/SQA Advanced Diploma Subjects: Business, Business with Marketing, Business with Accounting, Business with HRM, Financial and Business Management, Food Science & Technology, Travel and Tourism, Events Management, Hospitality Management, Childhood Practice, Sport & Recreation, Sports Therapy, Fitness, Health and Exercise. One and a half years credit for Global Trade and Business – bridging semester at year 2 (level 5) followed by final year (level 6). Applicable HND subject areas: Business, Computing, Hospitality and Tourism. Applicable HND subject areas: Accounting, Administration, Business, Hospitality, Logistics, Marketing, Retail, Travel and Tourism. Applicable HND/SQA Advanced Diploma Subject areas: Please see http://www.dundee.ac.uk/undergraduate/ for all HND/SQA Advanced Diploma Subject entry requirements. Almost all subjects covered. 2nd and 3rd year entry of related degrees depending on the graded units achieved. The University of Manchester welcomes applications from students achieving excellence in a wide range of qualifications, including the SQA Higher National Diploma. Applicable HND subject areas: Accounting, Administration, Business, Construction, Engineering, Hospitality, Logistics, Marketing, Nautical Science and Acting & Performing. Entry to 3rd year with A or B in graded units: Accounting, Business with Accounting, Administration and IT, Business, Financial Services, Financial and Business Management, International Business and Trade, Global Trade and Business, Sport and Hospitality Management, Sport and Recreation Management, Activity Management, Travel and Tourism, Hospitality Management. Entry to 2nd year of all degrees above with C in graded units. Accounting, Administration and Information Technology, Financial Services, Travel and Tourism, Computer: Networking, Computer: Technical Support, Information Technology, Creative Industries: Media and Communication, Creative Industries: Radio, Creative Industries: Television, Legal Services, Practical Journalism, Social Sciences, Applied Biological Sciences, Applied Bioscience, Applied Sciences, Applied Sports Science, Biomedical Sciences, Biotechnology, Countryside Management, Environmental Management and Sustainability, Environmental Sciences, Coaching and Developing Sport, Fitness, Health and Exercise, Sport and Hospitality Management and Music Business. Accounting (INTO campus pathway), Advertising and Public Relations, Business, Computer Science, Computer: Software Development, Events Management, Financial and Business Management, Hospitality Management, Human Resource Management, International Business and Trade, Marketing Retail Management, Social Sciences, Travel and Tourism. Applicable HND subject areas: Computing: Software Development. Teesside University welcomes applications from students who have successfully completed an HND/SQA Advanced Diploma. Applications will be considered on an individual basis. Teesside will consider advanced entry applications to the second and third year of bachelor degrees for the HNC/SQA Advanced Certificate and HND/SQA Advanced Diploma respectively. 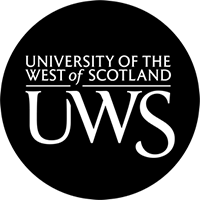 University of the West of England, Bristol (UWE) welcomes applications from students who have successfully completed an SQA HND. Applications will be considered by UWE on an individual basis. Advanced admission to Programmes at UWE is based on the students having the right academic background and achieving the standard UWE entry requirements including those for English Language proficiency. All HNCs/SQA Advanced Certificates and HNDs/SQA Advanced Diplomas will be considered for articulation to corresponding degrees. 3rd year entry to corresponding Degree programmes. Applicable HND subject areas: Computing, Creative Industries, Entertainment and Media. Applicable HND/SQA Advanced Diploma subject areas: Business, Financial Services, Financial and Business Management and Global Trade and Business.